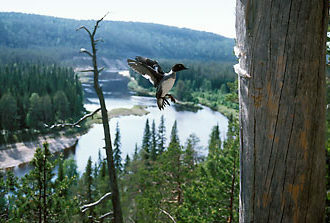 Hossa’s crystal clear, spring-fed streams and lakes are rich in aquatic life and water birds. Just opposite Hossa National Park’s spruced up visitor centre, inviting paths lead through spacious pinewoods towards a placid lake fringed by colourful marsh plants. 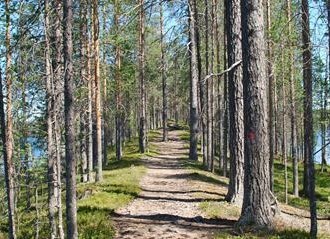 This delightful 3.5-kilometre (2.2-mile) nature trail is one of Hossa’s must-sees, according to environmental educator Riitta Nykänen of Parks and Wildlife Finland, who helped to plan the new national park, located in Eastern Finland about 80 kilometres (50 miles) south of Kuusamo. 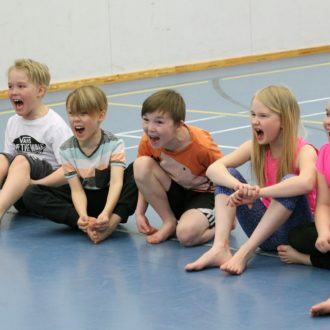 “Hossa’s landscapes – including unspoilt forests, and pristine lakes and sandy ridges unchanged since the Ice Age – are somehow quintessentially Finnish, so it’s an excellent choice for a park celebrating our country’s independence,” says Nykänen. 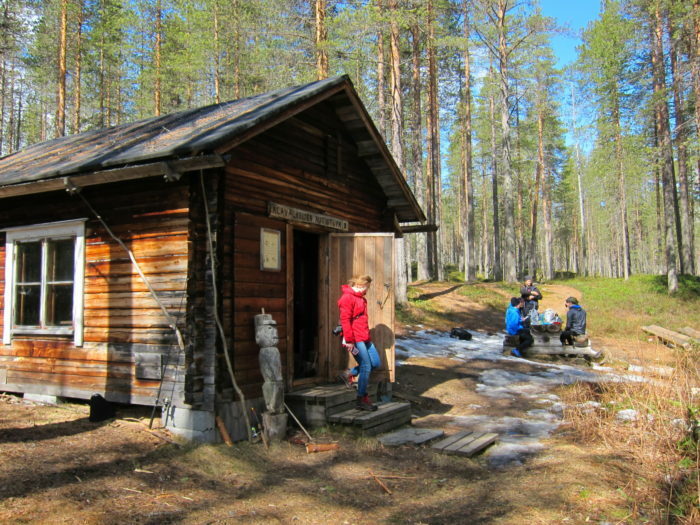 “There are also historic reasons for the choice, as nearby Suomussalmi was the hometown of Finland’s first president, K.J. Ståhlberg, and an early declaration calling for our independence was signed there. Then during the Second World War fierce battles were fought here in our borderland forests to preserve our independence,” she adds. 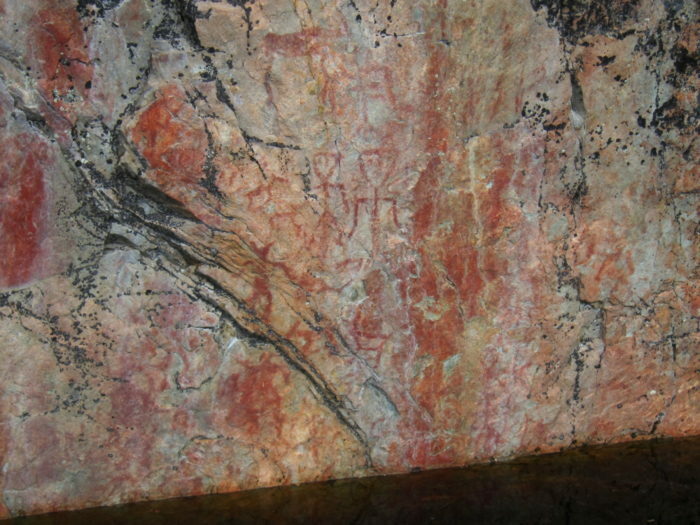 Another Hossa highlight is an awe-inspiring set of ancient rock paintings still visible on lakeside cliffs at Värikallio, even though they were painted 4,000 to 5,000 years ago. The paintings include matchstick people, demonic horned figures, recognisable animals, and two striking human-like figures with large triangular heads, who also feature in the national park’s logo. A new walkway built over the lake at Värikallio gives visitors great views of the paintings. Experts think they may relate to hunting rituals or shamanistic ceremonies, but no one can know for sure, so it’s tantalising to imagine what their Stone Age Finnish artists may have been thinking. Not far from Värikallio lies Julma Ölkky, a long narrow lake overlooked by spectacular rugged cliffs. Keen hikers can trek up one side of the lake and back down the other, thanks to a new hanging footbridge, but the best views of the canyon are from the water. Visitors can join guided canoeing excursions, or hop on scenic boat trips that regularly depart from the southern end of the canyon lake during the summer. Nykänen emphasises the natural diversity of Hossa’s wildlife. “Hossa’s crystal clear streams and lakes are unusually rich in oxygen, since they’re largely spring-fed. This means they’re rich in small aquatic creatures, and consequently also fish and water birds like dippers and divers,” she explains. Hossa is also home to woodland birds including hawks, owls and woodpeckers, as well as otters, lynx and occasional roving bears and wolves. 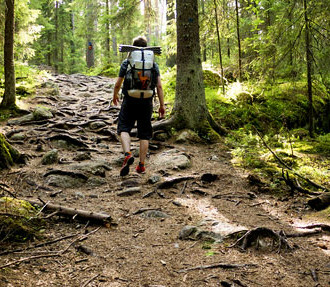 Hossa’s conversion from a hiking area into a national park has already increased visitor numbers. Local firms are keenly gearing up to provide more services for visitors with different interests. The small family firm Hossan Lumo, run by local girl Maija Daly and her Irish husband Lenny Daly, rents out equipment including fat tyre mountain bikes, kayaks and stand-up paddle boards, as well as cosy lakeside cabin accommodation. “Hossa’s clear blue lakes are great for paddling, and there’s been an international boom in SUP-boarding which is now catching on in Finland,” says Lenny Daly. 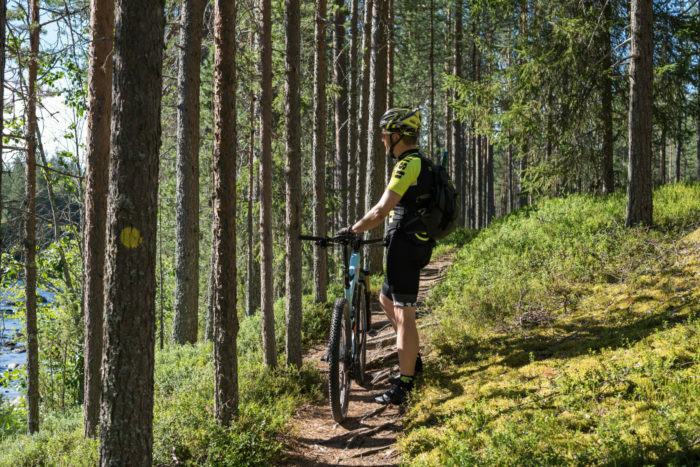 Daly feels that the trails along Hossa’s sandy ridges are likewise ideal for mountain biking. “Other enjoyable activities available locally include overnight bear-watching trips, guided war history tours, and winter husky safaris, and even yoga and pilates on SUP-boards,” he adds. Reindeer herding is still an important local livelihood here. 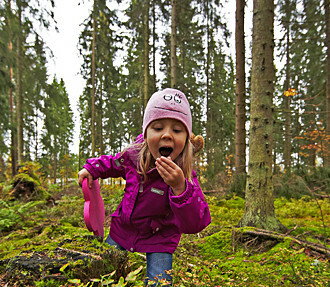 At Hossa Reindeer Park, on a working farm, visitors can meet, greet and even eat reindeer. And rest assured that if you spot a large animal between the trees out in the park, it’s much more likely to be a shy reindeer than a wolf or a bear. See our interactive map of the 19 regions of Finland and find out about the characteristics of each region.